The speaker Taraba State house of assembly, Rt.Hon. 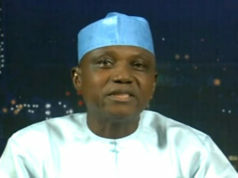 ( DCN) Peter Abel Diah Pours encomium on President Mohammadu Buhari for assenting to the new bill that gave autonomy to State House of Assembly in Nigeria, the speaker stated this during a press conference organised by the leadership of the House on Monday in Jalingo. Distinguished members of the fourth estate of the realm, Ladies and Gentleman, Today marks a watershed in the development of the Democratic principle in our country. 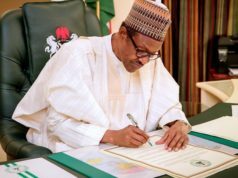 As you may be aware, the President of the Federal Republic of Nigeria and commander in chief, General Muhammadu Buhari has assented to the law of financial autonomy for the state Assemblies. This is commendable and I firmly believed that mutual respect and trust among the three arms of government will contribute immensely towards the flourishing of our hard earned democracy. We should prepare ourselves to face the challenges that will come in our way and bring progress and prosperity for nation building. I wish also to commend the president for assenting to the law. This will lead to a dynamic and active parliamentary democracy which is the fulcrum for the attainment of divideds democracy to our people. I wish also to appreciate the leadership and members of the national Assembly, state Assemblies and in particular, Taraba stete House of Assembly forn the role they played in seeing to the reality Of the law. With this law, democracy is gaining ground and heading towards success. It is my sincere hope that the three arms of Government will work in harmony for the development of Taraba state House of Assembly, the Rescue Mission of his Excellency, Arch. 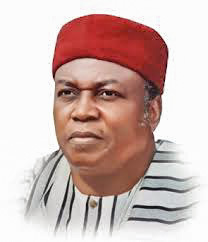 Darius Dickson Ishaku and the country at large. Speaker, Taraba state House of Assembly.